"This incredibly fragrant and elegant wine is from our relatively cool site in Bannockburn in a cool growing season resulting in a wine with great tension and incredible layers of red fruit, spice and earth. The aromas are both intriguing and complex: fresh berry, wild game, gun smoke, baking spice and wild thyme. The palate is long and bright with cherry, blackcurrant, cardamom, and delicious savoury undertones. Silky fine tannins compliment the vibrant acidity, giving the wine length and memory. This wine is drinking beautifully at release and will continue to do so for at least a decade." "This vintage is exceptionally fragrant with beautiful wild flowers, thyme and lilac woven through bright red fruit, cinnamon and cedar. A palate with incredible energy; red cherry and raspberry are the gateway to a round and creamy mid palate with long, silky tannins and vibrant acidity that gives the wine length and memory. This wine is drinking beautifully at release and will continue to do so for at least a decade." "A beautiful fragrance of violets and wild thyme mingled with blackberry, dark cherry and a savoury scent of leather. The concentrated core of dark red fruit is lifted by ripe acidity and underscored by long and beautifully woven tannins. 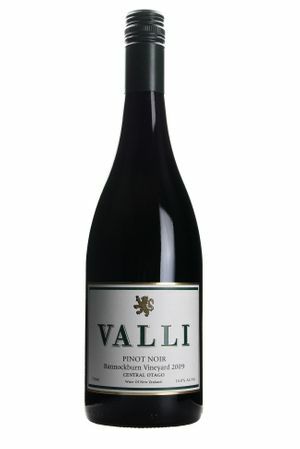 A harmonious Pinot Noir that is intriguing now but will also age gracefully." Named in the "Fine Wine of New Zealand List 2016"
"Ripe, dark plum fruit aromas, with the use of whole bunches adding complexity; liquorice, spice, dried herb and floral notes.The palate is ripe and succulent. It has Bannockburn’s sweet concentrated cherry and dark plum flavours framed, and given structure by integrated ripe tannin and acid. It is all about power with restraint." "Perfumed, ripe plum fruit, mocha and toffee notes. Rich ripe dense fruit, up front layered with complex spice from barrels and use of whole bunches. Seriously drinkable now but expect it will continue to develop for at least 7-8 years."